Pro Longwear SPF10 Foundation: This lightweight liquid foundation provides a creamy, buildable comfort, leaving skin smooth and flawless for up to 15 hours. Pro Longwear Concealer: A blendable, all-over concealer that provides full coverage to create a natural, matte finish lasting up to 15 hours. Pro Longwear Lipcreme: Full coverage, breathable lip colour that creates a comfortable cushion and subtle shine while staying true up to 12 hours. 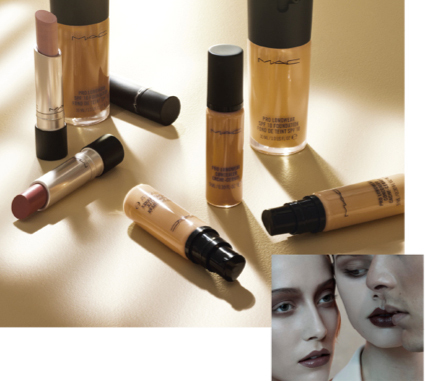 The new MAC Pro Longwear products are available in North America beginning September 16, 2010 and will become part of our permanent selection.